So I know I’ve been waxing poetic lately about water savings. My latest rant is about steam showers. Did you know that a steam shower uses about 1 gallon of water for every 20 minutes of steam shower? So, that means you could take a 30 minute steam shower and use less than 2 gallons of water. That is way, way less than a bathtub which will use between 50 and 90 gallons for that same type of relaxation. It is worth considering investing in a steam unit. We love the Thermasol Pro steam unit. It has a lifetime warranty. In addition, this warranty will cover labor for the first three years. That’s amazing!! It truly is a plug-and-play type of steam unit. The water supply just gets screwed on and it can be plugged in. There is nothing more simple. This will save you on labor costs. And… THERE ARE HEALTH BENEFITS!! We have had so many requests for low flow shower heads that we decided to make a special! These heads are good heads. These will be great for those of us who live here and understand how serious our water situation is. These will also be great for those of you with vacation rentals because it is very possible that your guests do not understand our drought and water restrictions. The little one runs at 2.0 GPM. The larger one runs at 1.75 GPM. Surprisingly, we like the 1.75 one better. But it is more expensive. The 1.75gpm one is available in chrome and brushed nickel. And we are keeping both of them in stock so you can walk in and leave with your new super low flow shower head. 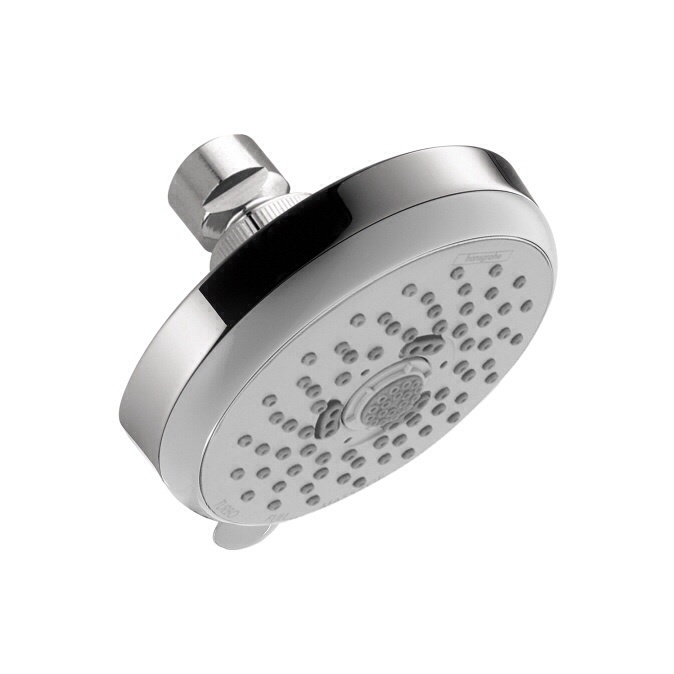 The 2.0 GPM showerhead represents a 20% savings over a standard shower head. 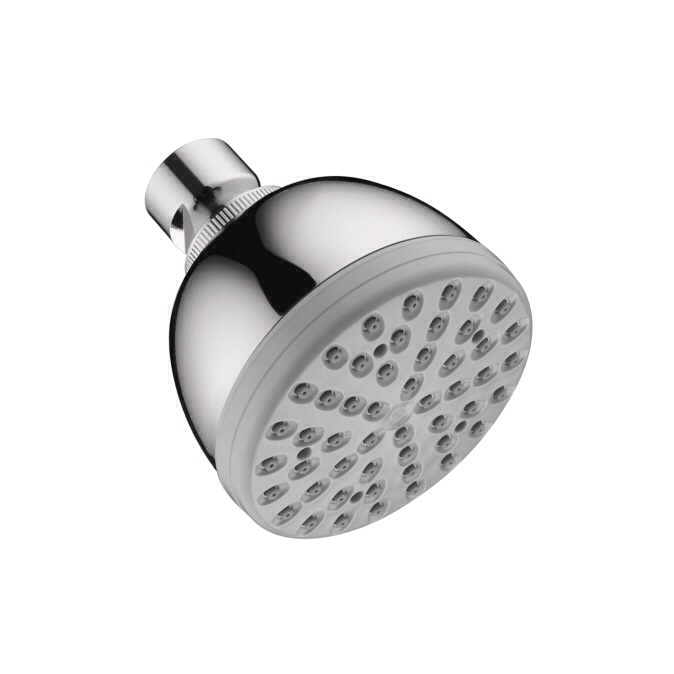 The 1.75 GPM represent a 30% savings over a standard shower head. And for you super watersavers out there, we even have 1.5 GPM showerheads which represent a 40% savings. We are not currently keeping those in stock. We can plug all of these in for you in our showroom see you can see them running. And, of course, we are not even mentioning the showerheads that have had their flow restrictors removed over the past several years when we are factoring the water savings. We are certain that none of our customers would have done this. Right? Grinnnnn…. Don’tcha need a PRETTY drain…??? Each year, Interior Design® magazine, the global design authority, recognizes innovative design with its Best of Year (BOY) Awards. 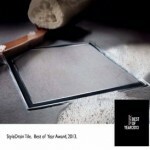 This year, our StyleDrain Tile took the Award in the Bath Accessory category. The publication received over 1,800 submissions from more than 33 countries! Product finalists were selected by influencers in the design/architect community and Interior Design Editor-in-Chief Cindy Allen along with a jury of design leaders selected the winners at the Awards Ceremony held at the Frank Ghery IAC Building in New York City on December 5. We are honored by the professional recognition! This groundbreaking version of the industry’s first truly decorative shower drain allows for the inlay of any tile or stone to match the rest of the shower. The frame may be finished to accent the floor, or blackened to further the illusion of no drain at all. Check out this 45 second video!